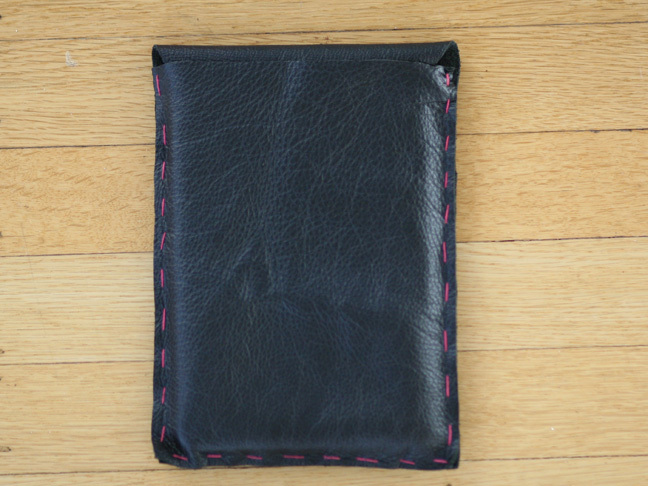 So you got a fancy kindle or iPad for the hoildays but now you need something to protect it! 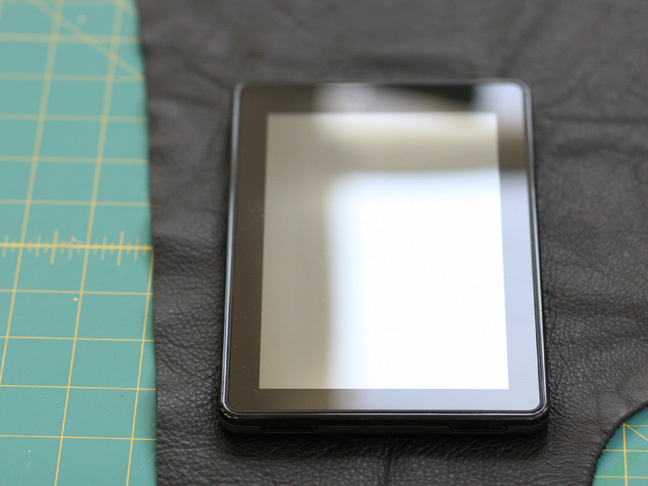 We’ve got a super easy tutorial to make a soft, buttery leather case yourself. 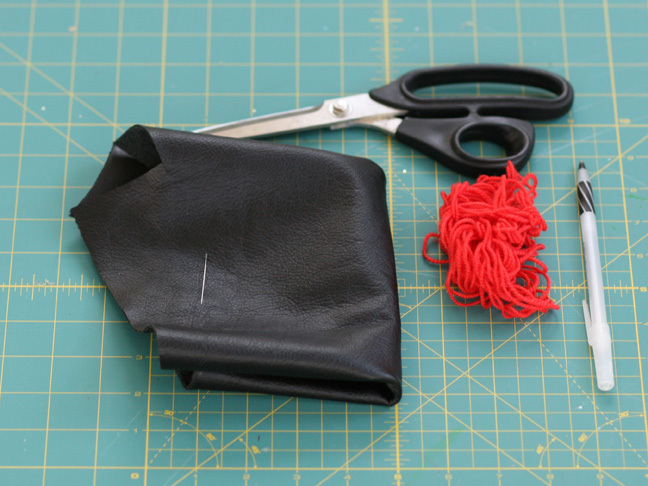 Only basic sewing skills required! 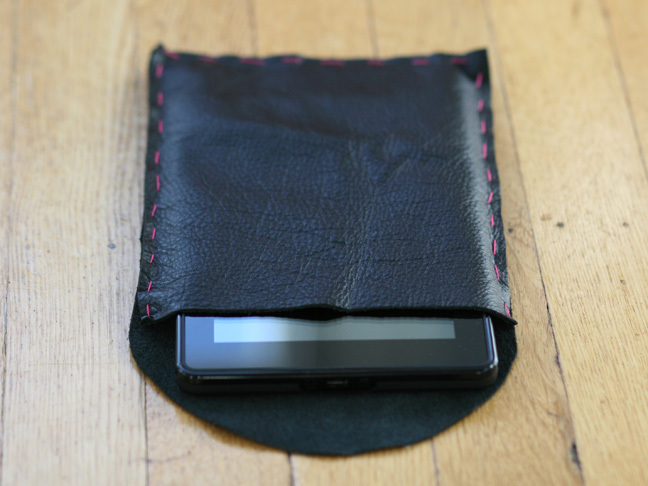 Lay your device on the leather. We’re going to trace around it to find the dimensions we need. You’ll trace a piece for the top and bottom. 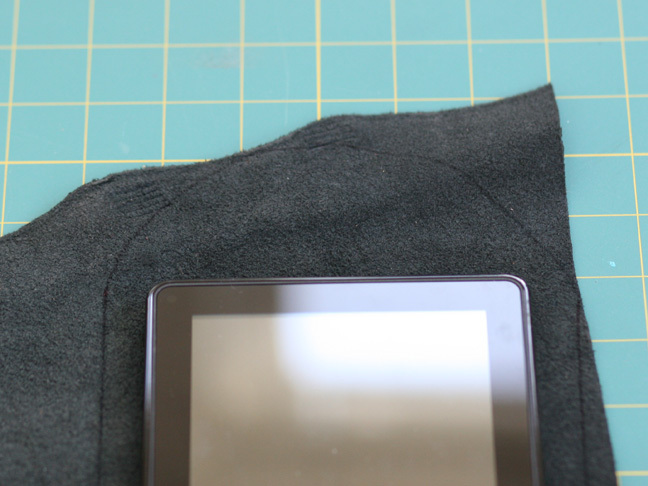 When you trace, add an extra inch around the perimeter and add an extra curved flap at the top of one of the pieces. 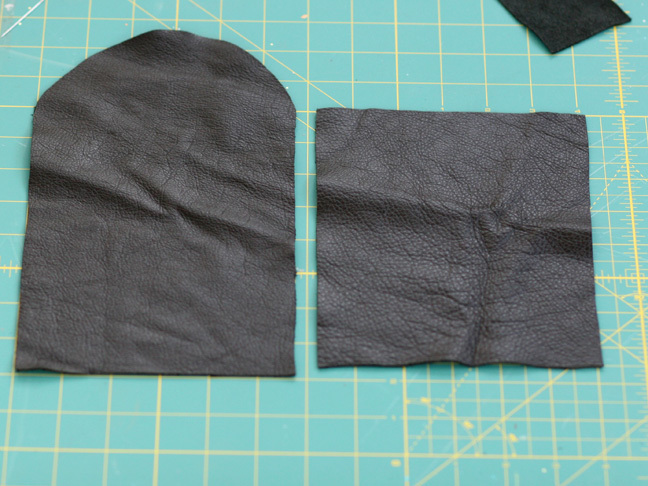 The two pieces will look like this when they’re cut out. 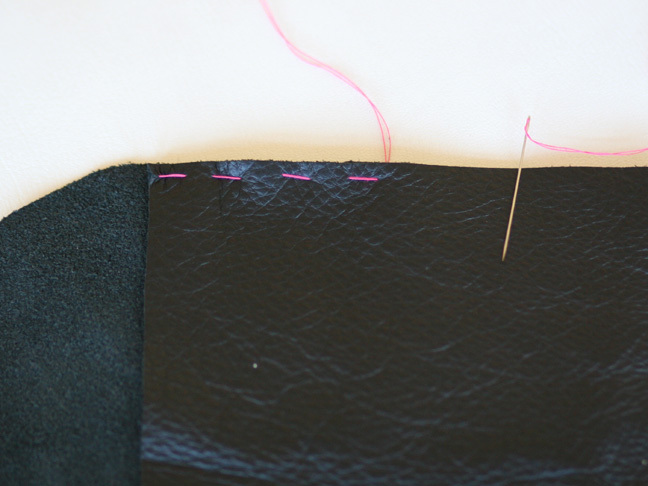 Line up wrong sides togehter and using your bright thread and needle, make large stitches along the border.